There is a lot of news in the latest trade papers with the new Super League season just around the corner. 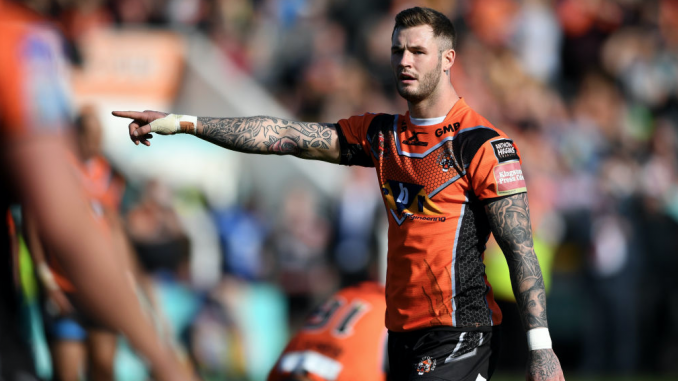 Zak Hardaker admits it may take years for the rugby league public to ever believe he is a reformed character after his struggles with cocaine and alcohol, ADHD and his subsequent rehabilitation process in the Sporting Chance clinic, report League Express. Lee Radford admits he’s ‘working to put food on the table’ as he enters the final year of his Hull FC contract, report League Weekly. Hull Kingston Rovers’ dual-registration partnership with York City Knights has been severed, as has Sheffield Eagles’ link with St Helens, report League Express. Hull KR and York will not be continuing their partnership, which saw the Knights feature several Robins’ players throughout last season. Sheffield coach Mark Aston told League Express: “The dual-reg with St Helens won’t be happening this year. They were very good with us in 2018 and we thank them for that.” Swinton Lions and Wigan Warriors are expected to renew their partnership for this year. Sebastine Ikahihifo has revealed he’s using off-season uncertainty over his Huddersfield future as motivation to bag a starting spot, report League Weekly. Salford Red Devils have been unable to register new signing Adam Lawton after failing to get international clearance following his time in Australia, report League Express. The former Widnes Vikings forward didn’t feature in Salford’s pre-season win over Swinton Lions on Saturday, and League Express has learned because it is due to an ongoing issue with his former club, Redcliffe Dolphins. Salford were only made aware of the situation in recent weeks, long after they had thought they had secured his arrival at the club. The Red Devils are working hard to get it sorted before the start of the season. Chris Clarkson is urging rising Super League stars to make sure they’ve got a Plan B – after finding out first-hand how quickly the real world can come knocking, report League Weekly.